Early in March, my girlfriend was on spring break and after this long and cold winter, we were both looking for somewhere a little warmer to go. At first we were looking somewhere closer by home for only a few days and then returning home, but then we realized that plenty of snow would still be on the ground and there might not be much to do. I still had leftover vacation days from 2013, so I took off the whole week and we decided to go somewhere further South. Eventually after doing some research and looking at some other campsites and their availability, we finally decided on Fairy Stone State Park located in Stuart, Virginia. I’ll be sharing my review, thoughts, and even some pictures from our trip with you now! 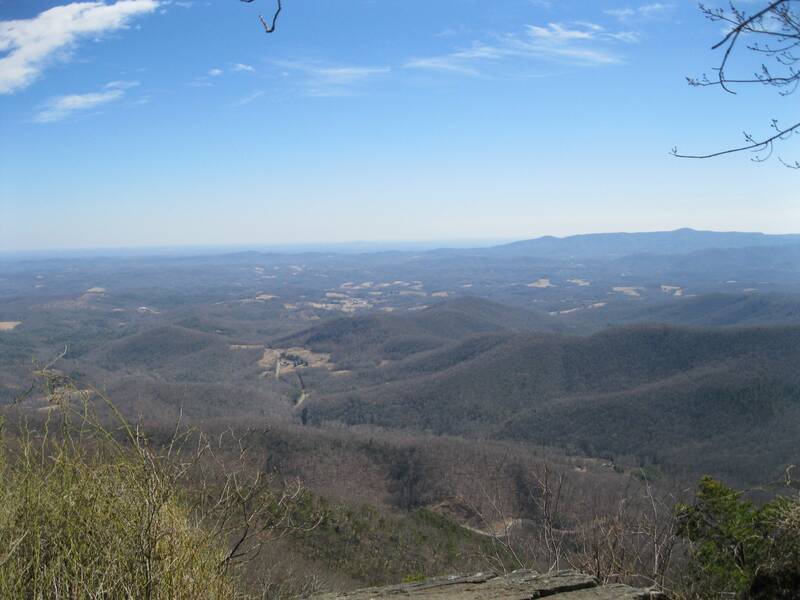 This park is located in Southwest Virginia, about half an hour from the Virginia-North Carolina border and right next to Blue Ridge Mountains and Parkway. The park gets its name because it home to many of these “fairy stones” that form in the shape of all different types of crosses which is pretty cool. As there were still a ton of leaves on the ground, it was difficult hunting for fairy stones but we did manage to find a few straight line ones – but did not manage to find any in the shape of crosses! The park is right next to Philpott Lake, and has a huge beach and swimming area. We weren’t able to take advantage of this in March, but as someone who loves swimming and the water it looked great. There were also paddle boat and canoe rentals near the beach as well, and you can get free WiFi down there too if you needed to check your e-mail or anything. The park office has a little gift store and you are also able to buy ice and firewood from here. The firewood was $4 for a bundle and was a good size, no complaints about that. We had minimal interaction with the Park Rangers during our time here, but the few times we did they were friendly and polite. The park itself is huge too, with 11 hiking trails to explore. We went on almost all the trails, with the exception of the horse camp trail which was just a dead-end to the equestrian camp. 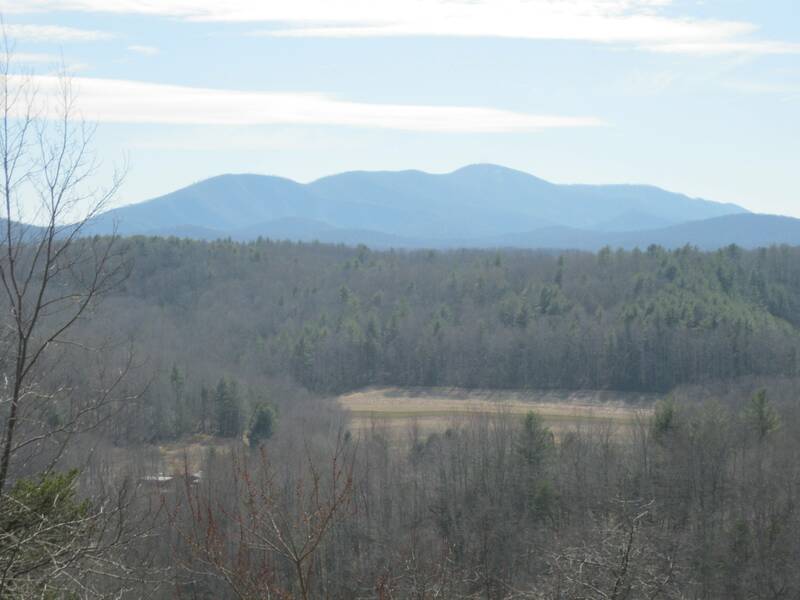 Our favorite trails were the Stuart’s Knob trails which gave an awesome view of Bull Mountain from the overlook on the trail, the Lake Shore Trail which lets you walk all the way to the dam that created Philpott Lake. We also enjoyed the Little Mountain Falls Trail and Mountain View Trail. The waterfall here was definitely little, nothing compared to our trip to Ithaca but still really nice! The only thing that would have made things better is that all the trees and plants were still dead, except for the evergreens. We also took day trips to Rocky Knob Recreation Area and to Smart View Recreation Area to hike the Rock Castle Gorge Trail and Smart View Loop Trail. The Rock Castle Gorge Trail is a pretty strenuous 10-mile hike that goes along a cliff, through some farmland, and through the forest. At one point when you reach Rocky Knob you will be at 3,500+ feet! If you plan on taking this trail give yourself plenty of time and bring lots of water. We took a break at the visitor center and picnic area to have a lunch. Everything was closed at this time of year, so it was pretty cool for how quiet it was. The Smart View Loop Trail is a much more relaxed 3-mile hike that goes through meadows and forests. It was still a nice hike and offered some great views. We stayed in a 1-bedroom efficiency cabin during our stay, which is the cheapest and smallest cabin you can stay in. The prices start at $69 a night for anyone of state and for an entire week the cost is $415 which comes out to around $60 a night. 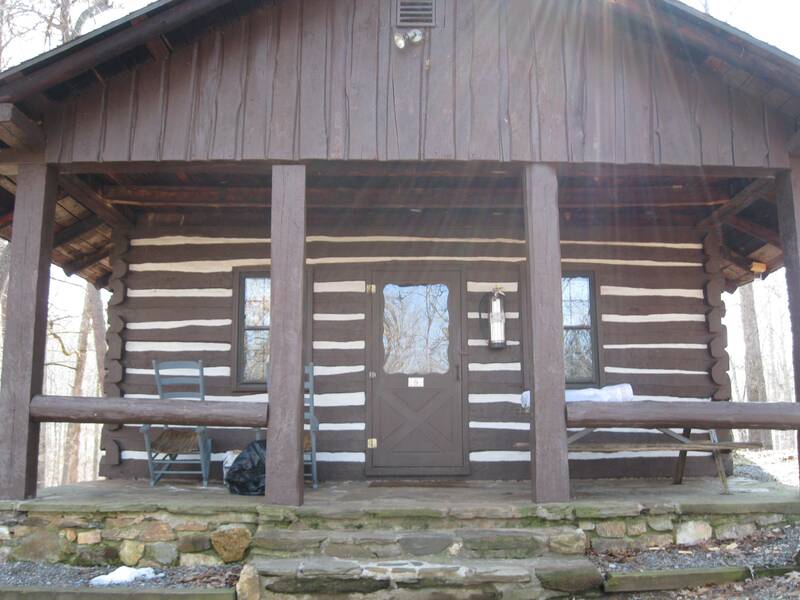 For how nice this cabin was, the price was a steal, you will not be “roughing it” at all if you stay in a cabin at a Virginia State Park. First of all the cabin was exceptionally clean, especially for a cabin that is in the middle of the woods. There was a double bed with full linens, they provided extra blankets as well as towels, washcloths, and some hotel soaps. The kitchen includes pots, pans, plates, and all the utensils you will probably need. Our cabin at Fairy Stone State Park was a 1-bedroom efficiency like I said before, so it was just one big room, a bathroom, and a kitchen. There was also a large front porch that had an overhang to protect from the rain with two rocking chairs and a picnic table. In the back of the cabin was a little patio area and this is where the grill was. The heating/air conditioning unit was on the side of cabin near the grill. The kitchen includes a refrigerator, sink, stove/oven and plenty of cabins. It also has a toaster, microwave, and a coffee pot too. The bathroom has a toilet, vanity/sink and a small shower. There is obviously hot water in the cabin with all of this. When I say that this cabin was fully loaded, I definitely mean it! Overall, I can definitely recommend going to this park and would even consider going back to this park in the warmer weather. 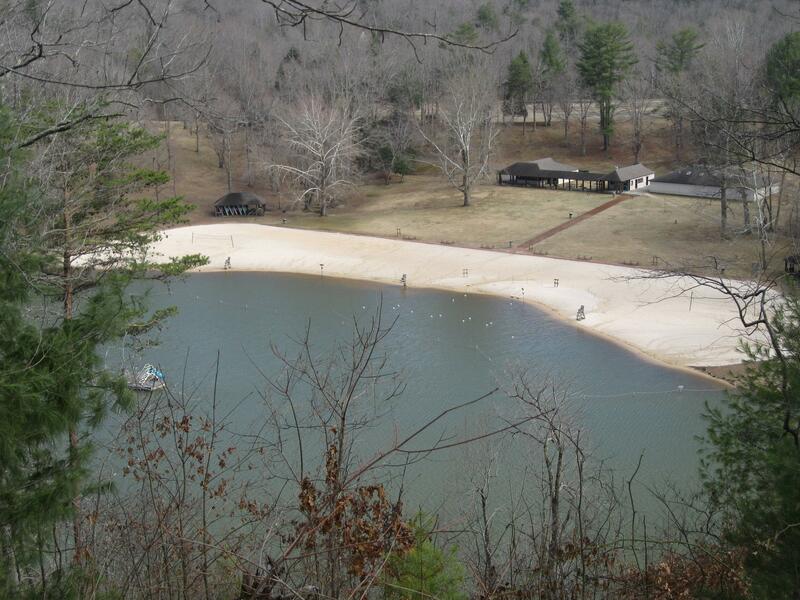 There is plenty to do in the park with swimming, boating, fishing, hiking. You can also go check out the Blue Ridge Parkway like we did or even visit the nearby Virginia Museum of Natural History. The cabins here were in excellent shape, and we were floored by just how nice they were on the inside as well! It almost felt like you were staying in a hotel room, but much cozier. Go check this park out if you do get a chance, and I hope you enjoyed my Fairy Stone State Park review. If you have any additional questions on this park (or the cabin we stayed in) you can always feel free to leave a comment or e-mail me and I can try to answer it as best as I can! This entry was posted in Camping by Debt Hater. Bookmark the permalink. Thank you for the review and pictures!! My husband and I just reserved this for V-day/my birthday. I can’t wait!!! No problem, I’m glad my review could help you out. Hope that you two have a great time there like we did!